Hosted by Iskashitaa Refugee Network and Southwest Fair Housing Council. 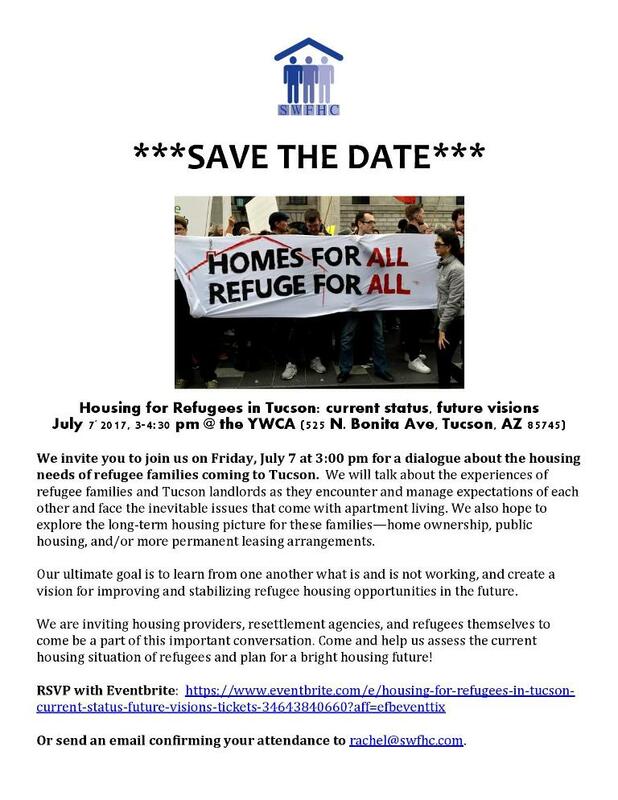 “We invite you to join us on Friday, July 7 at 3:00 pm for a dialogue about the housing needs of refugee families coming to Tucson. 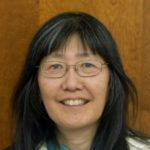 We will talk about the experiences of refugee families and Tucson landlords as they encounter and manage expectations of each other and face the inevitable issues that come with apartment living. We also hope to explore the long-term housing picture for these families—home ownership, public housing, and/or more permanent leasing arrangements. Our ultimate goal is to learn from one another what is and is not working, and create a vision for improving and stabilizing refugee housing opportunities in the future.